Rain Gear Options to Keep Dry This Spring! Some new tips and tricks to keep dry during this rainy spring climate in Southern Ontario. We have had a lot of rain recently here in Peterborough Ontario, and as such we decided to share some ideas to keep dry on your commute around town! 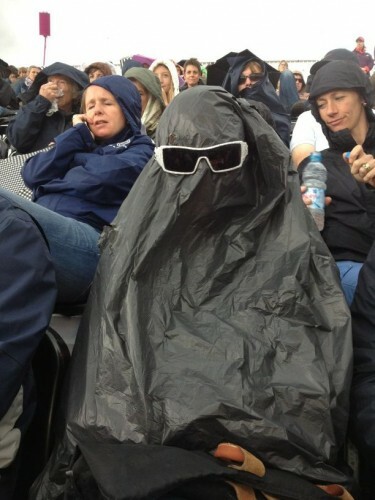 Always a great option, a full garbage bag obscuring your vision is an essential piece to your rain attire. 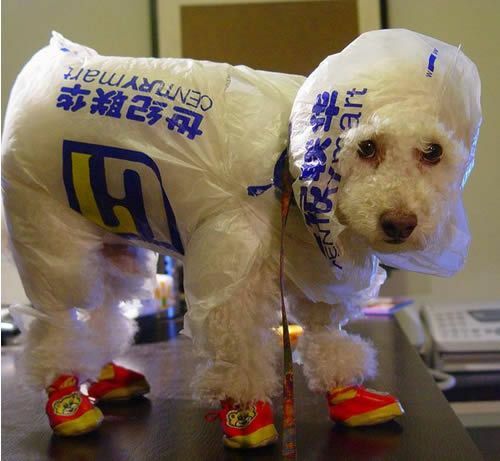 Keep your pooch toasty and dry with this stylish plastic bag inspired rain coat. 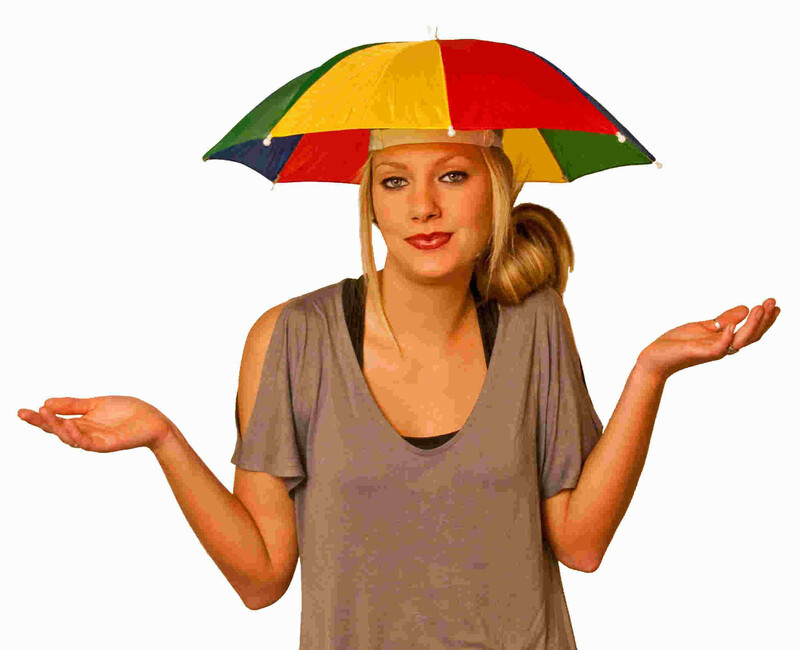 Not sure why this came up in my rain gear search but I'm just gonna go with it. 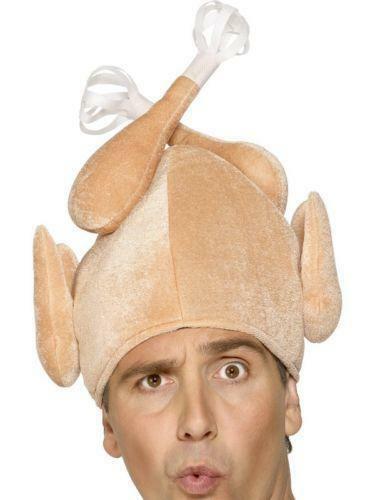 Wow your friends with this Turkey Hat! To keep your hair... Like matted and probably still quite damp. A classic in rain attire, this Umbrella Hat is the perfect accessory to any outfit. Even the model is like, "Keeping my hair dry and nothing else is a no brainer!" 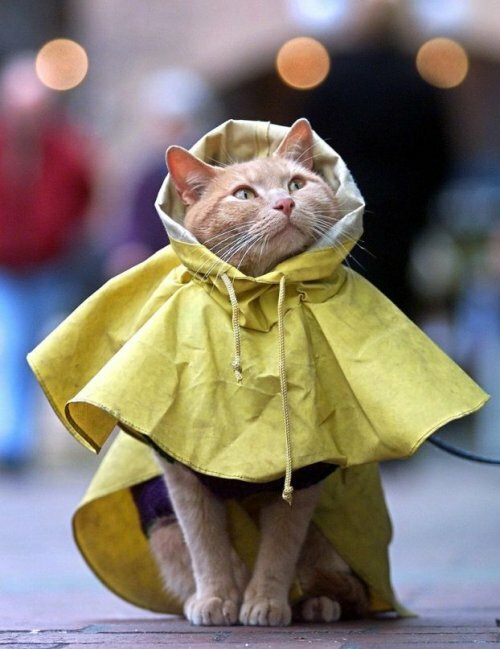 Last but not least we have this stylish throwback, yellow raincoat with hood for that spoiled feline in your life! No kitty wants to catch a cold chasing after mice and pooping in your neighbour's flower beds. And now he doesn't have to! So unfortunately none of these things are available at Hi Ho Silver, but we like to think we're pretty good at brightening your day with sparkly things, good conversation and retail therapy. So come visit us and let us help you cheer up these gloomy days!